My favorite kind of birthday cake is coconut. Yum! I love coconut. 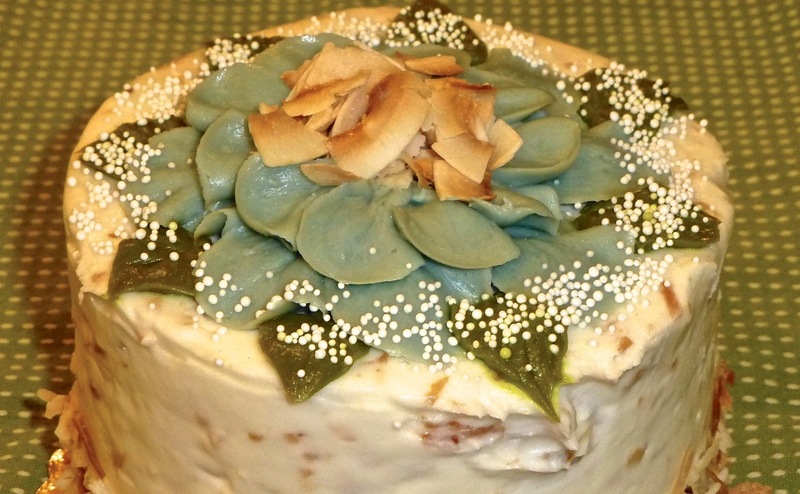 Quite a few years back, friends of mine brought me a coconut cake from Hawaii. Oh man! It was simply delicious as every bite melted in my mouth. Unfortunately, the company doesn’t deliver. Drats! So, this year I decided NOT to make a paleo coconut cake but instead buy one at Whole Foods since I’ve had theirs before and they weren’t too bad. I reasoned (well, we’ll call it reasoning) that making a paleo cake for myself from scratch was counterintuitive to my birthday, i.e. who makes their own birthday cake? Anyway, I ordered a 5 inch coconut cake. It was small enough so we wouldn’t gorge ourselves but would be plenty to last a few days. I had my last piece today. Since we don’t eat sugar on the paleo diet (with the exception of honey or pure maple syrup) my body revolted. The first day I had a nice small piece and it tasted too sweet. Afterwards I felt like I had acid reflex. The second day I had my piece and it didn’t taste too sweet but I prepared myself with a mug of hot tea to “down” it with. I had a bit of a small headache when I finished this piece. The third day I finished the last small piece — seriously, these were small pieces — and again my head started to feel out of sorts and my chest felt like I was getting acid reflex. The old non paleo body that could “handle” such sweet things has changed and the new paleo body let’s me know that these sweets really aren’t that good for me. Next year, I think I’ll make my own birthday cake.